Digital Subscriptions > Cities Today > Connected Cities December 2017 > What did we learn from COP23? 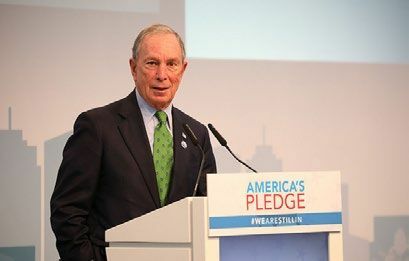 Despite the unofficial US Climate Action pavilion being built by private funds, cities and states arrived in Bonn led by Jerry Brown, Governor of California, and Michael Bloomberg, UN Secretary General’s Special Envoy for Cities and Climate Change. A total of 20 US states, 110 cities, and over 1,400 businesses with US operations representing nearly 1.0 gigatons of GHG emissions per year have adopted quantified emissions reduction targets.